The Sunbury Cricket Club has a long and proud history traceable back to the 1870’s and has been competing in the Gisborne District Cricket Association since the 1923/24 season. We are a community minded club, fostering the growth of cricket and a healthy lifestyle. Our home is the Clarke Oval arguably the premier cricket ground in the district and we have access to the facilities of the Sunbury Football Social Club restaurant, function room and sports bar. We offer something for cricketers of all ages and the whole family. With summer fast approaching, we are on the lookout for new players for the 2013/14 season. Our aim is to go one better in our pursuit of the GDCA McIntyre Cup as the previous seasons runners up. We welcome players for all senior grades and any junior players to come down and enjoy the fun of cricket in a positive environment. 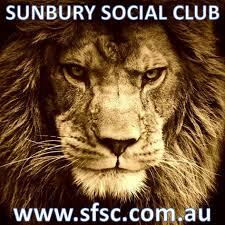 For more information <a href=”mailto:sunburycc.vic@gmail.com”>email</a> the club.